Acute encephalitis is a common cause of death and neurodevelopmental problems in children. The causative agents are numerous including infectious agents such as viruses, bacteria, mycobacteria and protozoa; para-infectious and immune mediated disorders such as acute disseminated encephalomyelitis (ADEM) and autoimmune encephalitis, especially the recently described anti-NMDA receptor encephalitis. Also, many viral associated encephalopathies such as acute necrotizing encephalopathy can mimic the presentation of acute encephalitis. 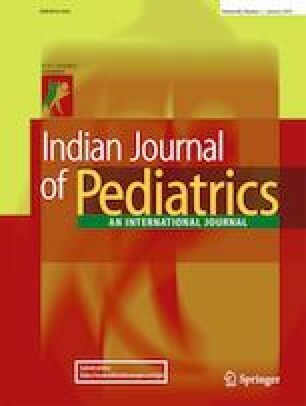 In this article, authors describe the approach to the diagnosis and management of acute encephalitis in children. SA and SS: Data acquisition, writing the draft, critical revision and approval of final draft to be submitted. SA will act as guarantor for this paper. World Health Organisation. Acute encephalitis syndrome. Japanese encephalitis surveillance standards. January 2006. From WHO-recommended standards for surveillance of selected vaccine-preventable diseases. WHO/V&B/03.01. Available at: http://www.who.int/vaccines-documents/DocsPDF06/843.pdf. Accessed on 15th July 2018.